Gamusa- The Gamusa or Gamosa is an article of great significance for the people of Assam and the very symbol of Assamese culture. 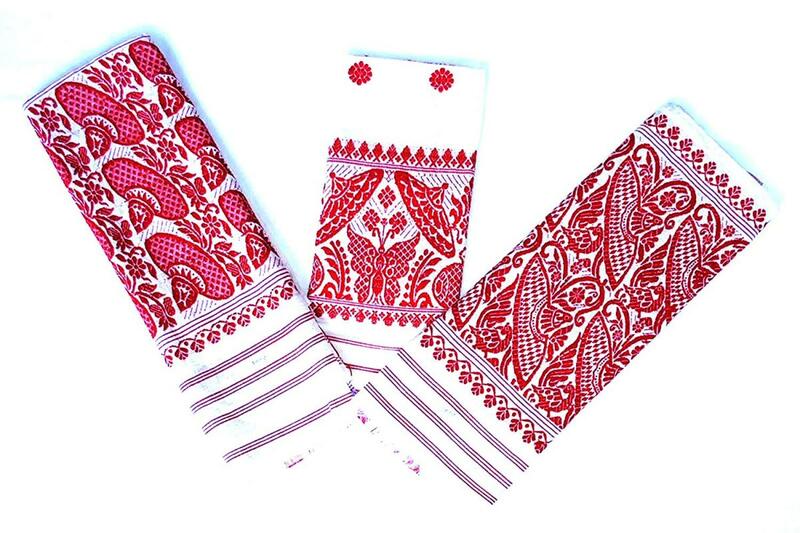 It is generally a white hand-woven piece of cloth of cotton or silk of around 2 feet in width and 5 feet in length, with red woven patterns or motifs on two sides and red stripes on the long border. 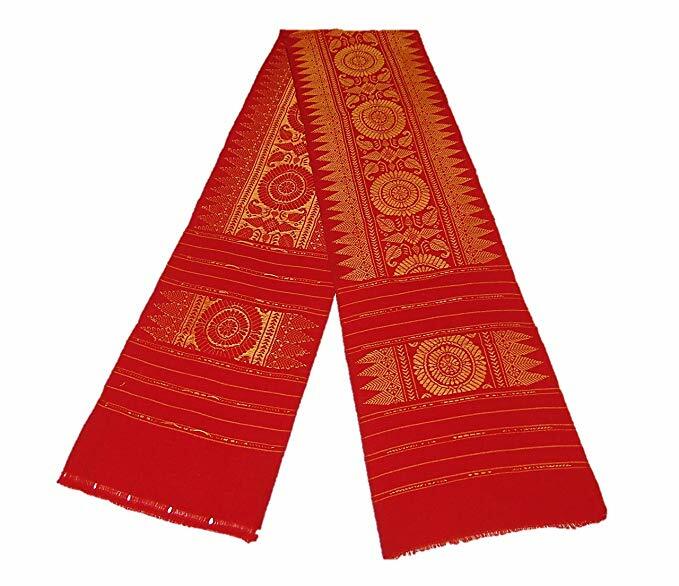 Aronai-Aronai is the Bodo traditional cloth of great significance.It used to felicitate people with honour.Besides it is wore on the neck as scarf in winter and also used in cultural occasions. 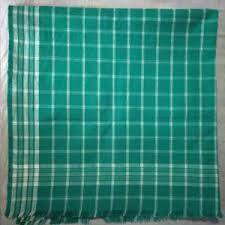 Gamsa-Gamsa is the male traditional dress of Bodo and is used to cover the portion from waist to knee by tying it in the waist.It is weaved of different colours like green, slight red and mixture of different colours like- white & green, white & blue and more colours. Dokhona -Dokhona is a traditional dress wore by Bodo women.